Regular annual maintenance can significantly enhance the life of your system and prevent future emergencies. Let us find any problems before they find you. Dirt and sediment build-up in a sump pump liner can cause pump failure, resulting in a flooded system. Additionally, it is necessary to test our battery back-up pump to make sure it is holding a proper charge. 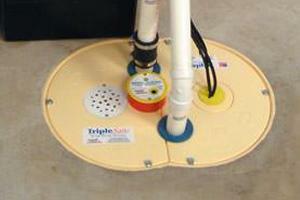 Your sump pump is an electro-mechanical device that needs to be maintained just like your car. Neglecting to get your pump serviced can result in water in your basement. Even with a generator, a dead pump or blocked discharge line will do you no good. Even our battery back-up pump system needs to be run tested and have the batteries checked. The cost of the service is only $129*. (Each additional pump, battery backup pump and/or SaniDry service is $25 extra.) Any additional parts or services, if needed, will be an extra cost with your approval. Our SaniDry dehumidifiers are high performance machines that should be serviced annually. This will protect your investment and keep the system working properly and efficiently! Depending on how often your SaniDry runs, we recommend changing the filters at least twice a year. Use Humidistat sensor to check humidity levels. Verify proper flow of discharge has been maintained. Adjust controls as necessary to ensure proper humidity levels. 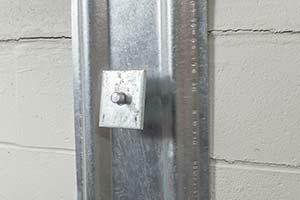 Our anchors are warranted to prevent any further inward movement of the wall in the treated areas. Even so, we recommend having the anchors serviced annually to ensure that your biggest investment is protected. Perform inspection of foundation and yard to prevent further damage.